Today we will look at the life of Solomon. We see what happens when he turns from serving the one true God to allowing idol worship to come into his life. He could not serve both. Summary: I Kings begins with King David’s death and his son, Solomon, taking the throne. 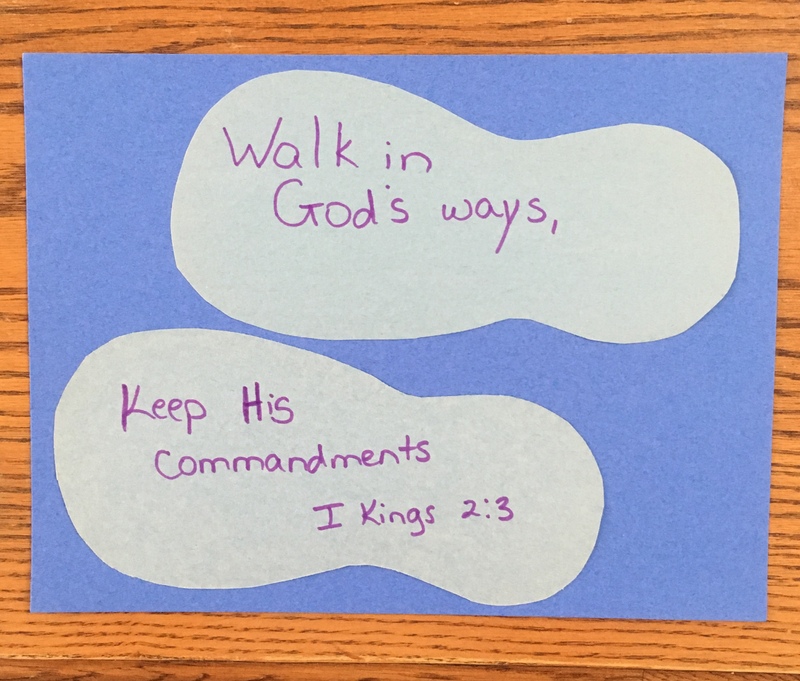 David had encouraged his son to walk with God and obey His commands. Solomon obeyed his father, David, and the kingdom was established. God then came to Solomon himself, asking what he desired. Solomon asked for wisdom and God gave it to him, along with riches and fame. God, too, told Solomon to obey His commands and walk in God’s ways, and God would bless his kingdom as He had promised David. Solomon was allowed to build the temple that his father, David, had wanted to build. But, Solomon allowed his heart to be turned from God to the gods (and idol worship) of his many “strange” wives. When King Solomon turned his heart from God to idols, we see the nation decline from one of the greatest kingdoms ever to the promise of a divided kingdom; with David’s house only ruling two tribes (Judah and Benjamin: see I Kings 11:30-35). Emphasis: Just as King Solomon was blessed and established as long as he walked in God’s ways as his father, David, we must make a choice – obey God or our own desires in the flesh. When King Solomon “loved” many women, he allowed his heart to be turned from God. We cannot choose the things of the world over God. One idea for today’s lesson: (See picture below). For today’s lesson we traced footprints and wrote I Kings 2:3 on them. We then glued them to a piece of construction paper. 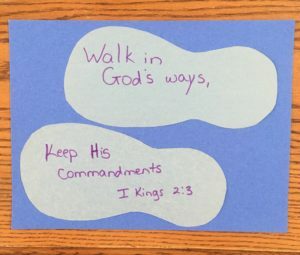 The idea is to help them remember the importance of walking in God’s ways and keeping His commandments.